Get a brighter smile with high-quality porcelain and composite veneers in Iran offered now in affordable all-inclusive packages by AriaMedTour. No one can deny how desirable a beautiful smile is. That’s why people are spending thousands of dollars on getting dental veneers to improve their smile. However, not everyone has a deep pocket to go for such a costly procedure. In this situation, isn’t it reasonable to travel some extra miles to save the extra money you’d have to pay in your own country? If you’re living in one of those places with a high cost of dentistry services, dental veneers in Iran would be an enticing offer. To help you get through this whole thing, we’re going to give you all the information you may need when considering Iran as your dental tourism destination. Dental veneers, also called porcelain veneers, composite veneers or dental laminates, is a cosmetic dental treatment, covering your selected tooth or teeth with thin shells of porcelain, a medical grade ceramic, or composite. These thin shells will replace the tooth’s enamel, which is a natural protective layer on teeth. Dental veneers give you natural looking teeth with the same visual characteristics, such as shape, light reflecting, color and length of an untouched and original tooth. Veneers can be compared, in terms of strength, to the natural tooth enamel. Why Iran for getting dental veneers? Apart from plastic surgeries for which Iran has the highest reputation, in some other fields, too, the country has shown a vast potential. One example is dental procedures like porcelain veneers. 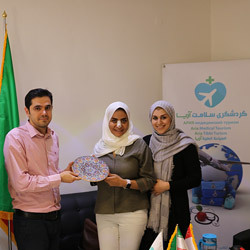 With a prestigious status, Iran and particularly the capital city Tehran, are welcoming thousands of travelers who choose this country over other destinations to get their dental procedures done in here. Most patients visiting Iran for dental purposes come from Europe, North America, and the Middle East. First of all, it is the high quality of dental services that push this country forward in this field. 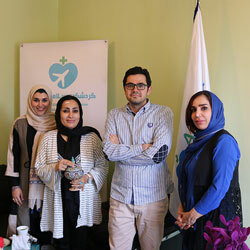 Second, the great proficiency of Iranian dentists contributes a lot to making this country second to none. By taking advantage of new technological developments, Iranian dentists have proved to be the best in the Middle East. Finally, the price plays a crucial role in attracting many patients to enter the country for their treatments. For example, if you’re living in a western country like the USA, dental veneers may cost you a fortune. However, you may get the same procedure done in Iran at a cost 2 to 3 times lower than the price in your country. Some lifestyle habits such as smoking or drinking tea and coffee and even some genetic factors play role in wearing down the tooth enamel. Worn enamel affects the appearance of the teeth. By covering the frontal surface of teeth with laminates, the patients regain confidence and protect their teeth from further damage. As we age, our teeth lose their strength and are susceptible to breaking and cracking, which can also give them an uneven appearance. 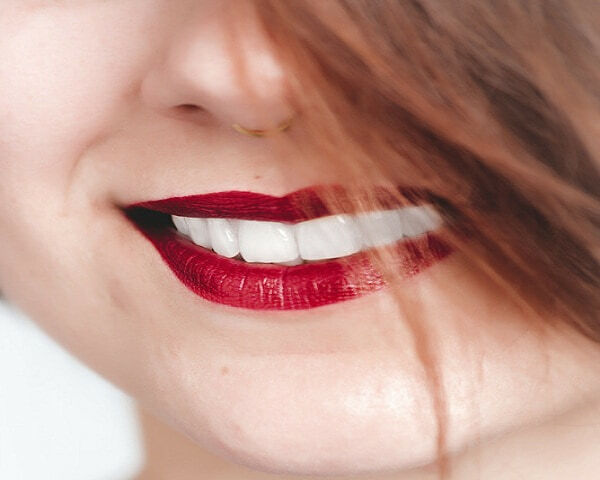 When a discoloration cannot be fixed through tooth whitening, cosmetic dentistry such as porcelain veneering treatment would do a far better job. If the patient wants to straighten their teeth without braces, veneers can be beneficial. 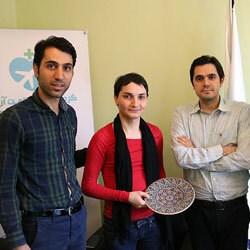 To get dental veneers in Iran, the patient needs to stay 3-14 days in the country (depending on the procedure). Dental veneering is done in approximately 2 sessions. Sometimes 3 appointments are required. In this session, the dentist trims the teeth and removes about 1 mm of enamel to reach the width of the porcelain veneer and a right height and size for placing the veneer. If the patient wants to use porcelain veneers on some but not all of his/her teeth, it's better to do a brief whitening process on other surrounding teeth. Afterward, the dentist makes a model of the patient’s teeth (a mold) and sends the model to the dental laboratory. Each veneer is crafted separately in the laboratory. It usually takes 1 to 2 weeks for the veneers to be ready. When the dental veneers are ready, the dentist temporarily places them on the patient’s teeth, in order to check their size, color and how they fit. If both the patient and dentist are satisfied with the result, the bonding phase starts. 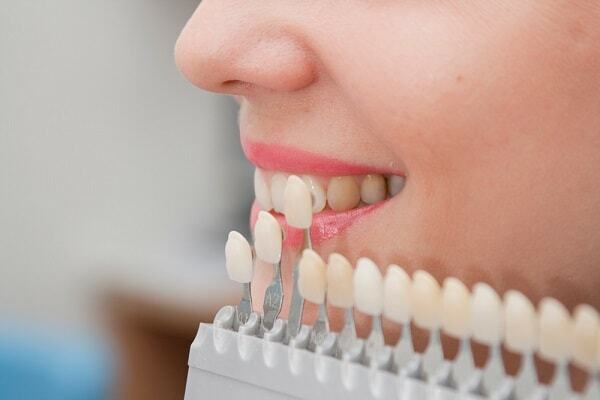 Before permanently placing the veneers, the dentist thoroughly cleans the patient’s teeth. An acid substance is used to roughen the surface of teeth and veneers. A special cement is applied to them. Then, the veneers are fixed over the teeth. After placing them on the teeth, a beam light is shed on the teeth, in order to activate the chemicals in the cement. This process may take about 2 to 3 hours. In some occasions, the procedure is done under anesthesia, not because it’s painful, but because it might be hard for some patients to stay still for a long time. In the end, the dentist removes the excess cement. The dentist also checks the alignment and how the teeth sit on each other when the mouth is closed, in other words, the “bite” is checked and corrected if necessary. Porcelain veneers are made of ceramic or porcelain. They are durable, stain-resistant, and natural-looking. Plus, they are designed only for one patient, and no two porcelain veneers for two different patients are the same. 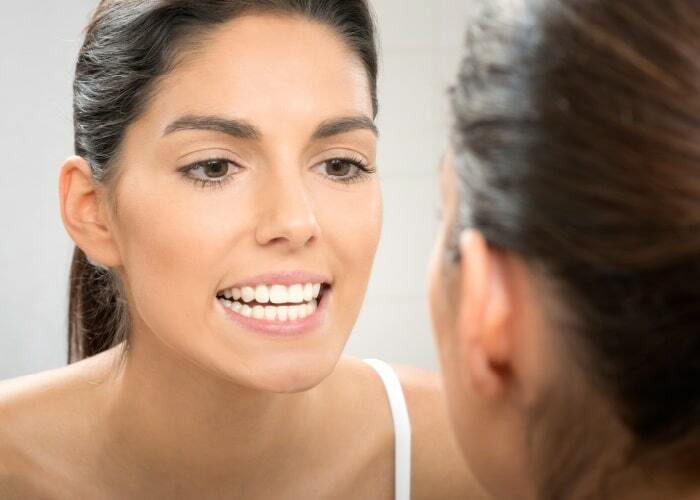 Porcelain veneers need preparation before the dentist can put them on your teeth. In this procedure, the dentist will try to preserve the majority of your teeth structure. A variety of veneers made of different materials like zirconia fall in this category of veneers. To get porcelain veneers in Iran, you'll need to stay 12-14 days in the country. Composite veneers are made of composite resins. They are similar to porcelain veneers in terms of quality and efficacy. However, they are not as durable as porcelain veneers. Instead, they need no or minimal preparation, i.e. no enamel trimming and removing is needed. That's why they are also called no-prep veneers. These veneers cost less than the porcelain veneers. To get composite veneers in Iran, you'll need to stay 1-3 days in the country. To tell whether the patients need porcelain or composite veneers and to determine the best choice of material for dental veneering, the patient must consult with a dentist. Porcelain veneering or porcelain veneers in Iran costs around $150-$350 per tooth. Composite veneers cost less, around $60-$135 per tooth. This is while typical veneering (per tooth) costs between $800 to $1000 in the US, $500 to $700 in the UK, and $350 to $600 in Turkey. This even gains much importance when it comes to having more than one tooth laminated. So, people can save a significant amount of money by undergoing dental veneers in Iran. Dental crowns are the alternative for veneers. The difference is that the crown is suitable for a person who wants a more dramatic change of appearance, color, and shape of their teeth. 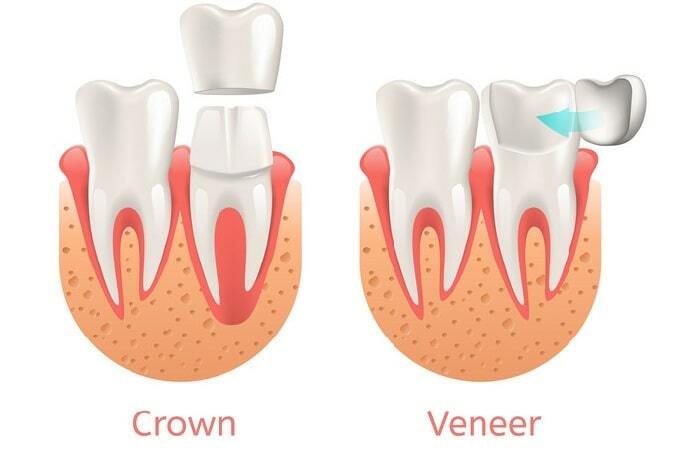 While veneers cover the surface of a tooth, dental crowns are applied to cover a tooth completely. Preparing the teeth for dental crowns requires trimming over 50% of the single tooth’s anatomical crown which is the part of a tooth above the gum line. As for the porcelain veneers, only about 3% of a single tooth, above the gum line will be trimmed. So, deep layers of the tooth will remain intact in dental veneering. 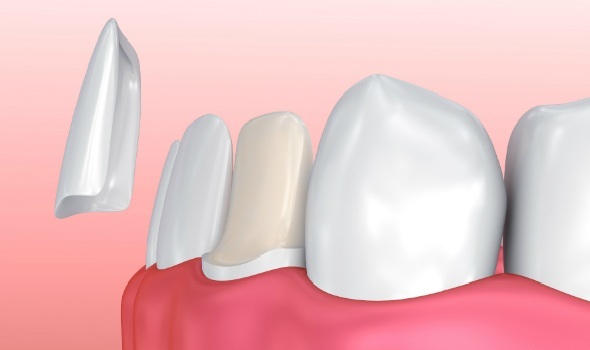 Dental crowns have a thickness of over 2 mm, but dental veneers are 1 mm thick or even less. That's why some people may consider veneers more natural than crowns. There's no recovery period for dental veneering. You may experience discomfort or have difficulty chewing hard foods and eating hot and cold foods for about 7-14 days after the procedure. However, you can immediately go back to work and your normal life after placement of the veneers. Regular brushing and flossing, as we normally do with our teeth, is highly necessary after getting porcelain veneers. The toothpaste you use must be a non-abrasive fluoride type of toothpaste. It’s also better to limit the use of tea, coffee, red wine, and other stain-causing foods and drinks. It means that the light is reflected off the dental veneers as it does off natural teeth. So, it’s as translucent as natural teeth’s enamel. This is because it reflects the layer below the surface of the porcelain veneer. The stains on the veneers can be wiped off easily. Porcelain veneers can last up to 10 to 20 years or more. Not having to wait a few months to see the results of this beauty treatment is one of its most obvious advantages. Although porcelain veneers are known to remain strong for years ahead, there’s always a chance of breakage, falling off or chipping. In the case of falling off, it can most probably be reattached by the dentist. If it does break in any way, the patient must go through the whole process all over again, which might not be pocket-friendly. Once the veneers are bonded, there’s no turning back to how it was before the preparation and application. As a part of the enamel is removed during the teeth preparation, the teeth will be more sensitive to hot and cold foods or drinks after the procedure. Am I a candidate for getting dental veneers? To determine whether the patient is a suitable candidate to get porcelain veneer, at first they must make an appointment with their doctor, for teeth and mouth examination, and generally for consultation purposes. In general, you’re the right candidate for dental veneering procedure if you’re not susceptible to gum disease or don’t have active gum disease. Plus, your enamel should not be weak so that it can be trimmed for the procedure. Dental veneering is not painful because there are no nerves present on the tooth. However, as a precaution, a local anesthetic may be used based on the doctor’s discretion. Veneers are a permanent solution to your misshaped teeth. They typically last more than 20 years. However, you need to be cautious about their maintenance.